Several years ago, I put a goal on my vision board to switch all of my traditional make up and beauty products over to non-toxic, natural alternatives. Back then it seemed pretty daunting, since I only had maybe one or two switched over. Fast forward a few years to now and I can finally say I did it! Now like all "green journeys" there are times when it was easy (eye liner) and times when it was hard (face wash), but I can say that I have officially kicked all toxic products out of my beauty routine. Will I use these products forever? Who knows? I'm sure I will find some that work better, more that I can make from scratch, and some I may just get tired of...but no matter what I will keep striving towards that goal only using green alternatives. 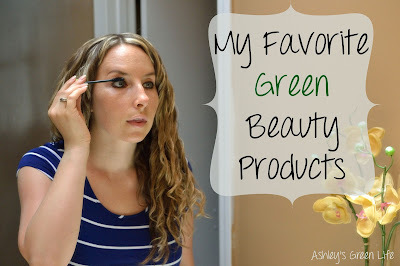 So today, I'm going to share those green beauty products with you. Everything from my toothpaste to my eye liner. Here they all are...everything I need to get ready in the morning. quite a bit! I would have had full counter a few years back! Now if you're just starting on your green journey, you may wonder why should I care about switching over to green alternatives? My CoverGirl mascara works just fine or this Herbal Essences shampoo smells fruity so it must be natural, right? But I'm afraid that the "green truth" to traditional personal care products is that they are loaded with chemicals and toxins. Just take a look at the ingredient list on the back of the product, see things you can't pronounce or that match up to the visual below? That would be a sign you would want to drop that product and a find a green alternative. 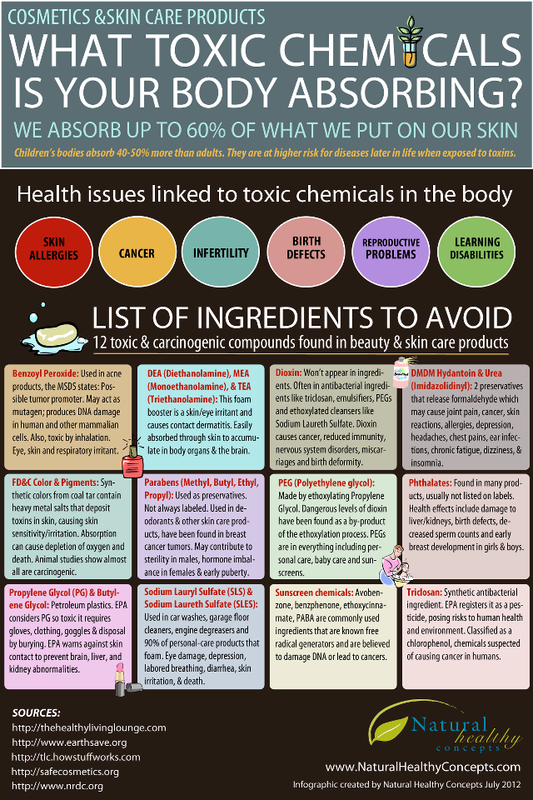 Here's an awesome graphic that sums up not only what dangers are lurking in personal care products but also the effect they can have on our body...and it's anything but pretty. 1. Lotion- This was one of the first swaps I made because I knew I covered my whole body with it, so that was a lot of surface area getting exposed to toxic ingredients. My favorite green alternative lotion is a brand called: Dessert Essence Organics Hand and Body Lotion in "Fragrance Free". 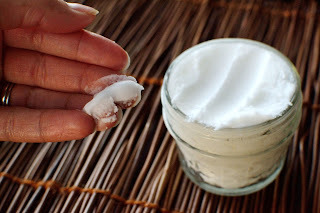 As I said in the video, before I got pregnant with Baby Mila I was using coconut oil for my body lotion and I really liked it. But when my belly started to grow, it started to itch, which I never had with Avery's pregnancy (when I used the Desert Essence Organics lotion). So I switched back and the itchy feeling went away, knock on wood it keeps the stretch marks away...but if it doesn't at least my skin will feel smooth, soft and moisturized in the process. 2. 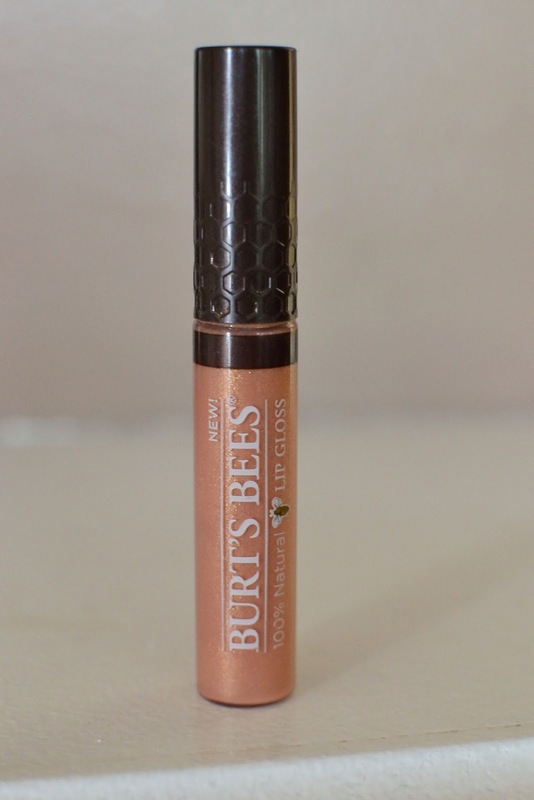 Lip Gloss/Lip Balm- This one was the next priority for me because I got to thinking about how much lip gloss/lip balm I was ingesting, just from day-to-day use and it kind of freaked me out. 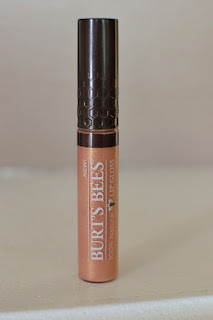 I've tried a variety of products over the years and my go-to for color and shine is Burt's Bees 100% Natural Lip Gloss in the shade "Autumn Haze". 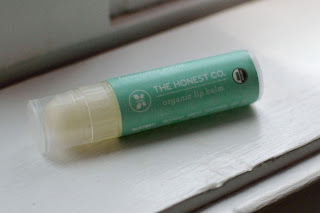 Now when my lips feel dry and I just want some moisture, not the shine and color, I go to this organic lip balm from The Honest Co. in the flavor "Lavender Mint". When you order this lip balm you get 3 flavors in a pack for $10, and I like the other two (Sweet Orange Vanilla and Purely Simple), but the Lavender one is my favorite. 3. Body Wash/Hand Soap/Shave Gel- My go-to for all things soap is Dr. Bronner's Castile Soap. It's plant-based, all natural, organic, and it has no additives or foaming agents. Even better, Dr. Bronner's has 18 different uses! In order to make body wash, I fill about 1/3 to 1/2 of an empty 16 oz. bottle with Dr. Bronner's Baby Mild Castile Soap and then I fill the rest with water. Other scents they have include: citrus, lavender, almond, and rose. Read more about why this is my favorite soap in the post, "A Green Alternative to Toxic Soap." Here's more ways that I use this awesome green soap! it's my favorite thing to use instead of a loofa in the shower). I even lather it up again and use it as a shave gel/shave soap. with that...just beware it will make the shower floor slippery! 5. Mascara- A great affordable and healthy option I use for my mascara is "Organic Wear" by Physician's Formula. 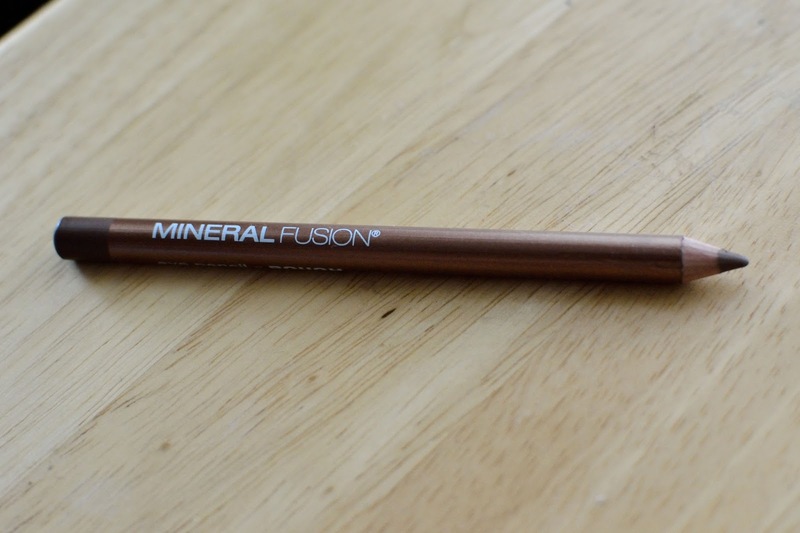 Their mascara is free of harsh chemicals, synthetic preservatives, and parabens. 6. Eye Liner- I so loved my old eye liners of the past, but when it was time to go green, I found Lavera's Eyeliner No.2 (Brown) and it's really done it's job well. 7. Eye Shadow: I use Larenim Eye Shadow in "Bewitched Beige". I've even tried to "green" my make up tools with this brush set from EcoTools, which as you saw from the video, Avery enjoys playing with as well! 8. Concealer- I don't use any foundation, powder, blush or bronzer, just this concealer for under my eyes and if I have any small blemishes. It's called: MyChelle Concelear in Solar. 9. 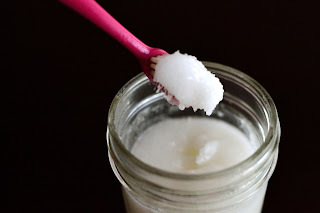 Deodorant- So in the past I made sure to get "green brands" of deodorant that were aluminum-free, but when I learned a simple and effective recipe I could make from home I ditched the store bought brands and went "super green" with this one. Is that a yummy treat? Nope, just my deodorant. Directions: Combine all ingredients in a bowl and then transfer to a jar or other container. My husband poured the mixture (when melted) into an old deodorant container and he keeps it in the fridge so it will stay solid. 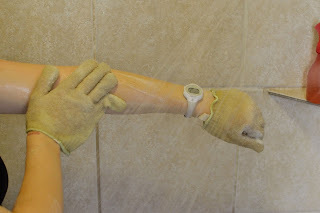 When you do this, you can apply just like you would a traditional deodorant. 10. Toothpaste: Staying on the homemade bandwagon, here's another product that I can now say I make from scratch and it comes from my post called, "How to Make Your Own Toothpaste". 1. Pour baking soda, coconut oil, xylitol, and peppermint oil extract into a large mixing bowl and combine until smooth. Then jump down to step 2. 2. 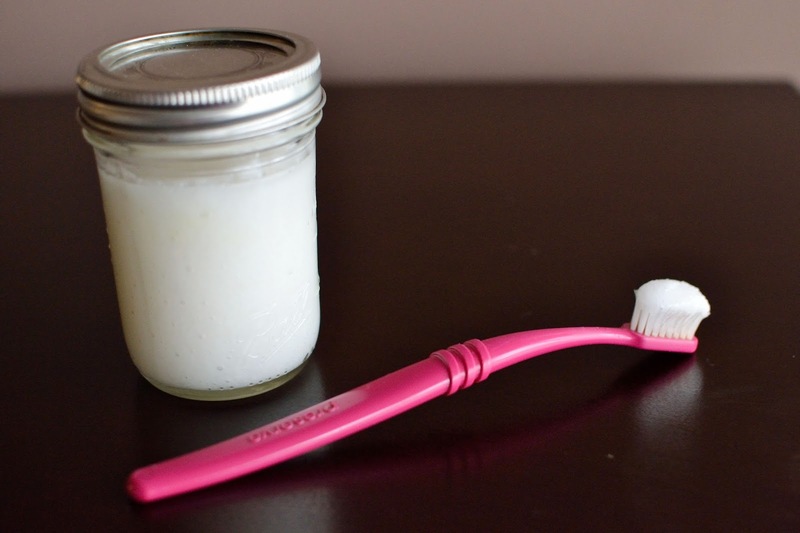 Transfer to some sort of jar or container that closes to help keep it fresh and ready when you need to brush your teeth. 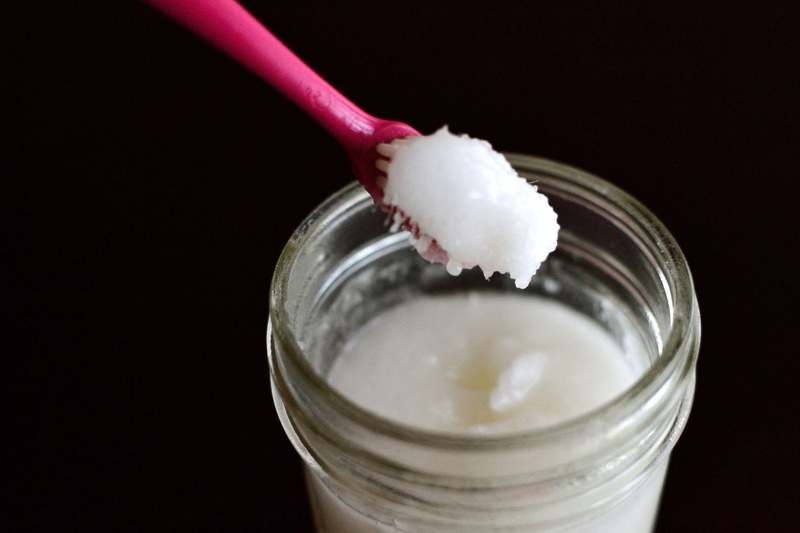 We just scoop it out of the jar when we need some, but if you wanted you could keep a little spoon close by and scoop it out with that and apply it to your toothbrush each time. but boy does it make your teeth feel clean and smooth! 12. 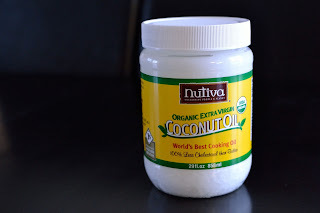 Shampoo and Conditioner- This one of the coolest green swaps that I made in my beauty routine because not only did it save me from being exposed to unnecessary toxins in traditional shampoos and conditioners, it also saved me a lot of money! The method I currently use is called "The No-Poo Method". Don't mind me, just spraying vinegar in my hair! My new "shampoo and conditioner." 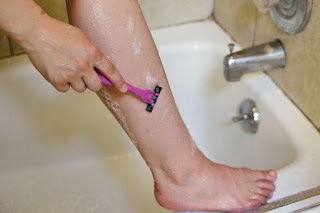 Read more about the technique and other tips in this post, "How to Wash Your Hair with the No-Poo Method". 13. 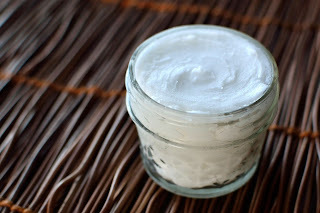 Hair Gel- Now after switching to the No-Poo Method I was curious if I could start to make my own hair gel. 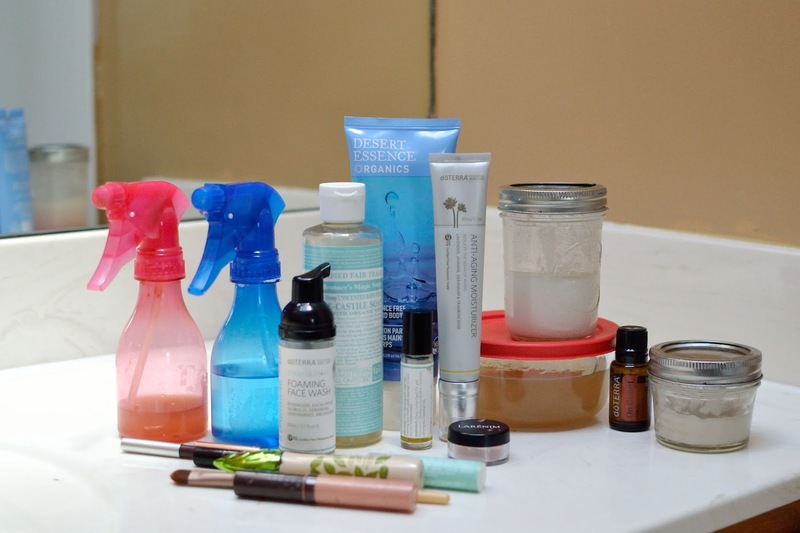 I had one homemade hair recipe under my belt, why not try another? 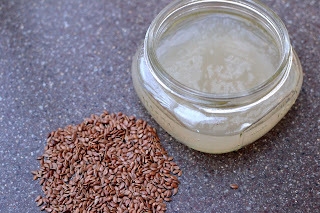 This is where the savings really started to roll in because I found out about Flax Seed Hair Gel! 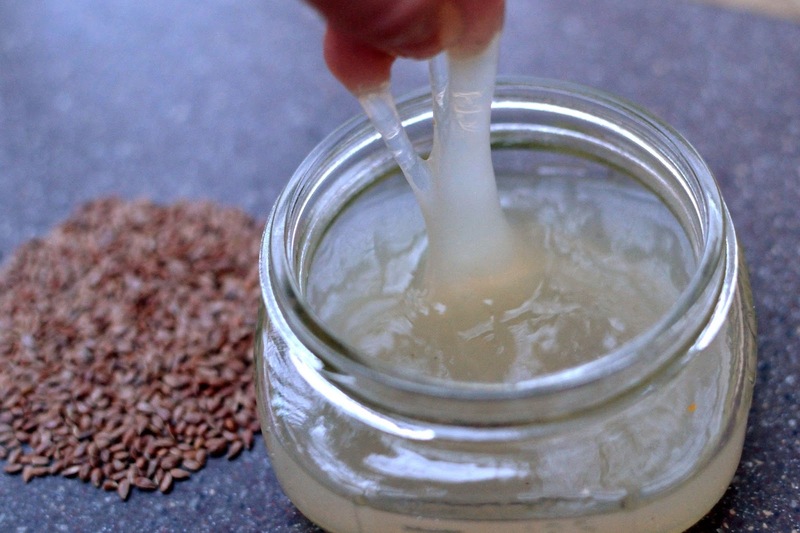 Hair gel from flax seeds? You bet! This is one awesome gel that is made from flax seeds and water, total cost per recipe: 16 cents! My previous hair gel was costing me $13 every 2-3 weeks, so this was one swap that my wallet really loved. 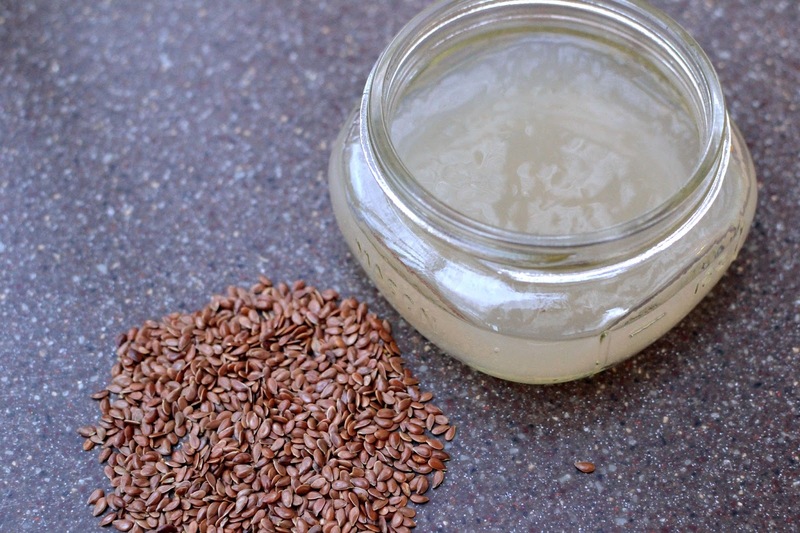 Read more about how to make it in my post, "How to Make Flax Seed Hair Gel". Well that wraps up my entire beauty routine, I hope this helps to give you some ideas when it comes to "greening" your beauty products. If you have any questions about the products I use, I'd be happy to answer them. 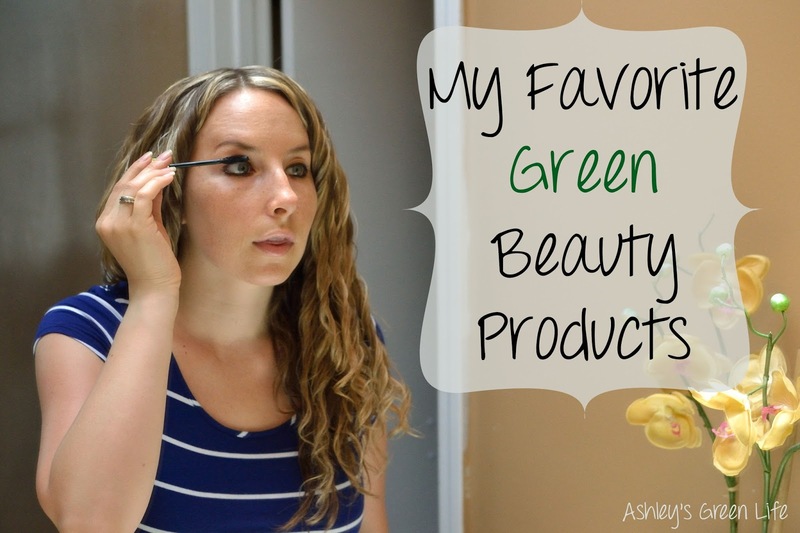 Do you have any favorite "green" beauty products that you're using right now? Share below! Thanks for sharing an alternative to Listerene. I've been searching for a natural mouthwash that kills germs and helps my mouth feel fresh so I'm excited to give doTerra On Guard a try. and a wipe solution for our cloth wipes (1 Tbs. Dr. Bronners liquid soap, 1 Tbs. Thayer's alcohol free witch hazel, 3-5 drops tea tree oil, 2 drops lavender oil, 2 drops roman chamomile, and about 3/4 cup water. I add the mix to a dark glass spray bottle and it gets my baby's bum clean and fresh). It's so nice to find another mom like myself! Sometimes being a gluten-free, vegan, crunchy, green momma can be a bit lonely. So many people don't seem to understand my need to avoid toxins, eat a plant based diet, and do what I can to be as eco-friendly as possible. I've enjoyed your blog as it's helped remind me I'm not the only one who cares about these things. I'd love to see some more posts about your vegan, gluten-free pregnancy, such as meal plans/recipes and supplements. Also, more pregnancy-related updates in general, please (how you're preparing Avery, finding time to take care of yourself while caring for a toddler, breastfeeding while pregnant, things you'll do differently during this pregnancy or birth)! I look forward to your posts each week! 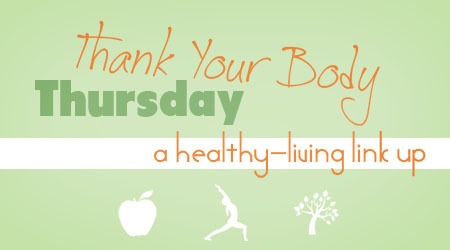 I use apple cider vinegar for deodorant, just put some in a spray bottle, works like a charm!